Last time we talked about Top Secret of Buzzbait Trick,Continue to finish what I have not finished today. It is generally considered that the buzzbaits is good choice for fishing at lesser depth of muddy water. However, it turns out well if you go angling in fresh water and choose a propriate buzzbait. Buzzbaits in big size may have bites, but small body ones work better. KVD, who learned fishing by clean blue lake of Michigan says that if you choose a right buzzbait by the right method, you will find the bite stimulated by buzzbait most exciting. “The choice of buzzbait and the speed of operating it depend on the limpidness of water and vegetative cover.” says the continually three-year best angler, “In fresh water and sparsely vegetated area, I pick smaller ones with single blade, for which I can roll back the fishing line faster to attract fishes to bite.” He prefers to use 1/4, 3/8 oz ones, but he also uses 1/8 oz ones when the sky is especially blue, the wind is gentle, and the lure is especially small. “1/8 oz can be used in calm sea in the circumstance that you think it would be too exaggerated.” KVD prefers angling in the fresh water by making quick action, and it’s too quick for fish to see the shapes of lure. In this way can fishes mistakenly believe it was a fleeing delicious target. To make the size small and the action faster, KVD will cut a half of its skirt, because he thinks that smaller skirt can not only increase its falling speed, but also looks more natural. “Smaller skirt gives it a lifelike look, and dives deeper, causing the fish to strike.” KVD tells us. Furthermore, he inclines to use semitransparent skirt due to its livelier. It’s very difficult to cast your buzzbait in the wind, especially in the wind’s eye. Nonetheless, skillful anglers will always find a way to cope with it. Buzzbaits seldom get rid of the bass successfully when they are attacked. However, fortunately, some bites are not that unescapable. Below are some suggestions on how to improve the hook rate. Add an additional tail hook, which is a must-need. You could not use it unless you are in an area where full of obstacles, in which your lure is very likely stuck. 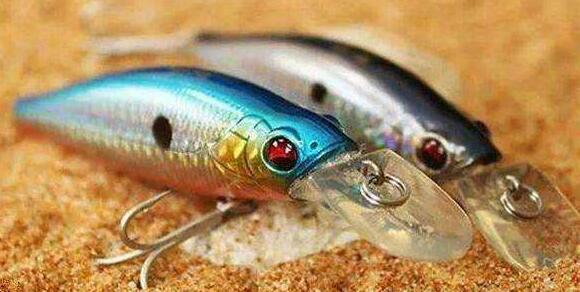 Change the color, KVD says,” If you see the lure in water clearly, so does fish! Therefore, the bite would not be so furious. Change your skirt to a more natural color will make a difference. If the water is too muddy, you have a bite, but you always miss it as well, then you’d better change into popper bait or you can also add a tungsten weight. Equip yourself with a heavy bait knife, KVD will tie up a lead-free soft hook on a rod. When the buzzbait has a bite but miss it, then swing it immediately to where it gets attack. An angry fish cannot resist a swaying, drowning soft baits. KVD says, “If it happens to be in barrier area, then you should be spinning baits, so that you could cast your lure afar and successfully drag bass out of barrier area.